If you do this deal, I will sell the Pez n walk away. Pez Corporation, The option that remains is to change the end of the story by writing it yourself. This proposal of restitution is your chance to correct the dark behavior of Scott McWhinnie toward my company. In 1998 I remortgaged my home ($125,000.00) and took out an additional line of credit loan for $125,000.00. I put that borrowed $250,000.00 with another $250,000.00 of earnings in 1998 on the biggest purchase of specifically designed pez dispensers from Pez Corporation I had ever made. All actions by Pez Corp against Pez Outlaw were done deliberately n with Malice. Under Scott McWhinnie's Pez Corporation, the following was done. Pez Corporation Committed a $250,000.00 Fraud through Breach of implied Contract. Pez Corporation used a clients ideas to destroy that clients business. Pez Corporation used there own product to destroy a client. Pez Corporation sold then devalued there own product to destroy a client. Pez Corporation initiated a smear campaign against there own product once a client bought that product. Pez Corporation manipulated the price n value of there own product to destroy a client. 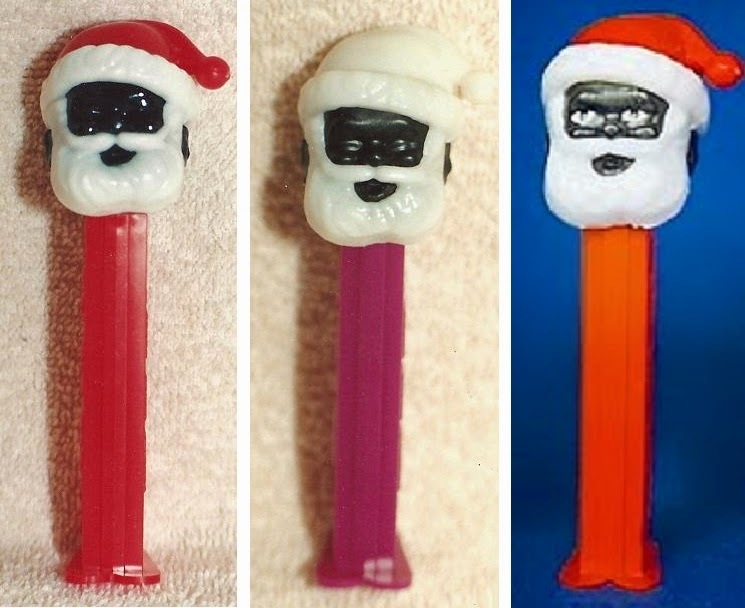 Pez Corporation destroyed a client then used that clients ideas for 2 decades of profit. 582,000 Pez Dispensers, as restitution. A new ending to the story. The number of Pez dispensers required to make restitution is 582,000. This action on your part would give me a second chance to accomplish what the pez I bought from Pez Corporation back in 1998 was supposed to do. All I'm asking for is the opportunity to earn back what was lost and a do over for both Pez Corporation and myself. To be honest Pez Corporation at this point I could even ask for more, I just don't want any more. 582,000 pez dispensers is going to be a very big job n I'm looking for an end, not something that would go on for the rest of my life. My goal is to move the 582,000 pez in 5 years, then walk away from Pez forever. Concerning the582,000 pez dispensers. Just come as close as you can to what is described in this chapter. Use your best judgement, it/that will be good enough. It's not rocket science, just pez. Come as close as you can, it will be fine. All dispensers would be loose, no packaging required or wanted. IMPORTANT - Stems on all dispensers will be the 1990s no feet regular stem except obviously on the trucks. Critical Point. Injection molding machines would NOT be purged between colors. Simply pour in next color n keep going. Transition pieces would be included. Terms. 582,000 Pez Dispensers stated below. Items would be shipped to Pez USA then delivered to me, all expenses and customs paid for by Pez Corp. None of the items would ever be copied or duplicated. I would not be hindered in any way in the promotion or selling of this merchandise. This part also includes no negative comments on behalf of Pez Corp in PCN (Pez Collectors News) like last time. All product would be officially sanctioned by Pez Corp/Haas through an open letter posted in PCN the Pez Collectors Newsletter. All dispensers would be openly sold on ebay or Amazon as such. I would at that point tell anybody that will listen that what happened in 1998 was simply a feud/a personal rivalry between Scott Mcwhinnie and myself. That what happened in no way reflects Pez Corporation of today as shown by how Pez corp voluntarily made restitution for what happened. I then would be able to share my love of Pez as Pez Outlaw. If Pez Corporation felt it was useful after restitution is made I would be willing to help promote Pez as Pez Outlaw. If restitution is not made, Pez Corporation is by inaction condoning what Scott McWhinnie did through Pez USA as Pez USA. In effect endorsing the action by inaction. Complete list of 582,000 Pez Dispensers Stated Below. Pez Outlaw will be written on front spine of stem/outer sleeve. Except trucks, Trucks Pez Outlaw written on sides of trailer. Not Negotiable, this must be on every pez dispenser listed below. Pictured Pez Dispenser above is the Pez Outlaw pez dispenser. My new favorite Pez dispenser, because it's me. The beard is actually twice as long. 1990s Santa head must be used. Pez Outlaw. The above pictured Pez Dispenser. This one is not negotiable, it must be included in the deal. The Pez Outlaw dispenser would be made for me, then never made again. 5,000 Pez Outlaw dispensers. normal white guy. 625 Pez Outlaw Black hat on 8 different color stems. all internal parts for stem black normal plastic. Pez Outlaw written on stem of outer sleeve. 625 Pez Outlaw Light Brown Tan hat on 8 different color stems. all internal parts for stem black normal plastic. Pez Outlaw written on stem of outer sleeve. 625 Pez Outlaw Dark Brown hat on 8 different color stems. all internal parts for stem black normal plastic. Pez Outlaw written on stem of outer sleeve. 625 Pez Outlaw Dark Blue hat on 8 different color stems. all internal parts for stem black normal plastic. Pez Outlaw written on stem of outer sleeve. 625 Pez Outlaw Baby Blue hat on 8 different color stems. all internal parts for stem black normal plastic. Pez Outlaw written on stem of outer sleeve. 625 Pez Outlaw Dark Green hat on 8 different color stems. all internal parts for stem black normal plastic. Pez Outlaw written on stem of outer sleeve. 625 Pez Outlaw Light Green pea green hat on 8 different color stems. all internal parts for stem black normal plastic. Pez Outlaw written on stem of outer sleeve. 625 Pez Outlaw Gray hat on 8 different color stems. all internal parts for stem black normal plastic. Pez Outlaw written on stem of outer sleeve. 5,000 Pez Outlaw dispensers. Face color is same as Mex-Tex Tan light brown in color. 5,000 Pez Outlaw dispensers. Face Black in color. 5,000 Pez Outlaw dispensers. Face white-ish glow in the dark color. 5,000 Pez Outlaw dispensers. Face darker Brown in color. 5,000 Pez Outlaw dispensers. Face White/white in color. 5,000 Pez Outlaw dispensers. Face Yellow/yellow in color. 5,000 Pez Outlaw dispensers. Face Red/red in color. 5,000 Pez Outlaw dispensers. Face Lime green in color. 5,000 Pez Outlaw dispensers. Face Dark Blue in color. 5,000 Pez Outlaw dispensers. Face Pink/pink in color. 5,000 Pez Outlaw dispensers. Face Lavender Blue in color. 5,000 Pez Outlaw dispensers. Face Baby blue in color. 5,000 Pez Outlaw dispensers. Face Gold in color. 5,000 Pez Outlaw dispensers. Face Silver in color. 5,000 Pez Outlaw dispensers. Face Gray/grey in color. Concerning below head colors. Redish Asian face/head should be clearly different than Brown Hispanic Latin face/head. Very Very easy to see that they are different colors. A little more brown for hispanic n a little more red for Asian. 1,000 Black Black Face/head, the old santa. Hat should be baby blue. Hair should be white white hair. On 8 different color stems. all internal parts for stem black normal plastic. Pez Outlaw written on stem of outer sleeve. This Pez Dispensers name will be McScott. 1,000 Black Black Face/head, the old santa. Hat should be white white. Hair should be white white hair. On 8 different color stems. all internal parts for stem black normal plastic. Pez Outlaw written on stem of outer sleeve. This Pez Dispensers name will be Gunther. 2.000 Brown Hispanic Latin face/head, the old santa. Hat should be, 1,000 baby blue hats, 1,000 white white hats. Hair should be white white hair. On 8 different color stems. all internal parts for stem black normal plastic. Pez Outlaw written on stem of outer sleeve. This Pez Dispensers name will be Richie Belyski. 2,000 Redish Asian face/head, the old santa. Hat should be, 1,000 baby blue hats, 1,000 white white hats. Hair should be white white hair. On 8 different color stems. all internal parts for stem black normal plastic. Pez Outlaw written on stem of outer sleeve. This Pez Dispensers name will be Mike Edelman. 1,000 Black Black Face/head, the new santa. Hat should be baby blue. Hair should be white white hair. On 8 different color stems. all internal parts for stem black normal plastic. Pez Outlaw written on stem of outer sleeve. This Pez Dispensers name will be Bubby Pez. 1,000 Black Black Face/head, the new santa. Hat should be white white. Hair should be white white hair. On 8 different color stems. all internal parts for stem black normal plastic. Pez Outlaw written on stem of outer sleeve. This Pez Dispensers name will be Brent Pez Johnson. 1.000 Brown Hispanic Latin face/head, the new santa. Hat should be white white. Hair should be white white hair. On 8 different color stems. all internal parts for stem black normal plastic. Pez Outlaw written on stem of outer sleeve. This Pez Dispensers name will be JJM. 1.000 Brown Hispanic Latin face/head, the new santa. Hat should be baby blue hats. Hair should be white white hair. On 8 different color stems. all internal parts for stem black normal plastic. Pez Outlaw written on stem of outer sleeve. 2,000 Redish Asian face/head, the new santa. Hat should be, 1,000 baby blue hats, 1,000 white white hats. Hair should be white white hair. On 8 different color stems. all internal parts for stem black normal plastic. Pez Outlaw written on stem of outer sleeve. 8,000 Black Black Face/head, the old Pez Pal Pilot. Hat should be, 1,000 brown hats, 1,000 yellow hats, 1,000 blue hats, 1,000 red hats, 1,000 green hats, 1,000 glow in the dark hats, 1,000 black black hats & 1,000 white white hats. Hair should be, 1,000 brown hair, 1,000 yellow hair, 1,000 blue hair, 1,000 red hair, 1,000 green hair, 1,000 glow in the dark hair, 1,000 black black hair & 1,000 white white hair. On 8 different color stems. all internal parts for stem black normal plastic. Pez Outlaw written on stem of outer sleeve. This Pez Dispensers name will be D Welch. 8.000 Brown Hispanic Latin face/head, the old Pez Pal Pilot. Hat should be, 1,000 brown hats, 1,000 yellow hats, 1,000 blue hats, 1,000 red hats, 1,000 green hats, 1,000 glow in the dark hats, 1,000 black black hats & 1,000 white white hats. Hair should be, 1,000 brown hair, 1,000 yellow hair, 1,000 blue hair, 1,000 red hair, 1,000 green hair, 1,000 glow in the dark hair, 1,000 black black hair & 1,000 white white hair. On 8 different color stems. all internal parts for stem black normal plastic. Pez Outlaw written on stem of outer sleeve. 8,000 Redish Asian face/head, the old Pez Pal Pilot. Hat should be, 1,000 brown hats, 1,000 yellow hats, 1,000 blue hats, 1,000 red hats, 1,000 green hats, 1,000 glow in the dark hats, 1,000 black black hats & 1,000 white white hats. Hair should be, 1,000 brown hair, 1,000 yellow hair, 1,000 blue hair, 1,000 red hair, 1,000 green hair, 1,000 glow in the dark hair, 1,000 black black hair & 1,000 white white hair. On 8 different color stems. all internal parts for stem black normal plastic. Pez Outlaw written on stem of outer sleeve. 8,000 Glow in the Dark Face/head, the old Pez Pal Pilot. Hat should be, 1,000 brown hats, 1,000 yellow hats, 1,000 blue hats, 1,000 red hats, 1,000 green hats, 1,000 glow in the dark hats, 1,000 black black hats & 1,000 white white hats. Hair should be, 1,000 brown hair, 1,000 yellow hair, 1,000 blue hair, 1,000 red hair, 1,000 green hair, 1,000 glow in the dark hair, 1,000 black black hair & 1,000 white white hair. On 8 different color stems. all internal parts for stem black normal plastic. Pez Outlaw written on stem of outer sleeve. 8,000 Black Black Face/head, the old Pez Pal Alpine Boy. Hat should be, 1,000 brown hats, 1,000 yellow hats, 1,000 blue hats, 1,000 red hats, 1,000 green hats, 1,000 glow in the dark hats, 1,000 black black hats & 1,000 white white hats. Hair should be, 1,000 brown hair, 1,000 yellow hair, 1,000 blue hair, 1,000 red hair, 1,000 green hair, 1,000 glow in the dark hair, 1,000 black black hair & 1,000 white white hair. On 8 different color stems. all internal parts for stem black normal plastic. Pez Outlaw written on stem of outer sleeve. This Pez Dispensers name will be Joshua. 8,000 Brown Hispanic Latin Face/head, the old Pez Pal Alpine Boy. Hat should be, 1,000 brown hats, 1,000 yellow hats, 1,000 blue hats, 1,000 red hats, 1,000 green hats, 1,000 glow in the dark hats, 1,000 black black hats & 1,000 white white hats. Hair should be, 1,000 brown hair, 1,000 yellow hair, 1,000 blue hair, 1,000 red hair, 1,000 green hair, 1,000 glow in the dark hair, 1,000 black black hair & 1,000 white white hair. On 8 different color stems. all internal parts for stem black normal plastic. Pez Outlaw written on stem of outer sleeve. This Pez Dispensers name will be Mike Mitros. 8,000 Redish Asian face/head, the old Pez Pal Alpine Boy. Hat should be, 1,000 brown hats, 1,000 yellow hats, 1,000 blue hats, 1,000 red hats, 1,000 green hats, 1,000 glow in the dark hats, 1,000 black black hats & 1,000 white white hats. Hair should be, 1,000 brown hair, 1,000 yellow hair, 1,000 blue hair, 1,000 red hair, 1,000 green hair, 1,000 glow in the dark hair, 1,000 black black hair & 1,000 white white hair. On 8 different color stems. all internal parts for stem black normal plastic. Pez Outlaw written on stem of outer sleeve. 8,000 Glow in the Dark Face/head, the old Pez Pal Alpine Boy. Hat should be, 1,000 brown hats, 1,000 yellow hats, 1,000 blue hats, 1,000 red hats, 1,000 green hats, 1,000 glow in the dark hats, 1,000 black black hats & 1,000 white white hats. Hair should be, 1,000 brown hair, 1,000 yellow hair, 1,000 blue hair, 1,000 red hair, 1,000 green hair, 1,000 glow in the dark hair, 1,000 black black hair & 1,000 white white hair. On 8 different color stems. all internal parts for stem black normal plastic. Pez Outlaw written on stem of outer sleeve. 8,000 Black Black Face/head, the old Shell Gas Pez Pal Boy, no Sheell logo. Hat should be, 1,000 brown hats, 1,000 yellow hats, 1,000 blue hats, 1,000 red hats, 1,000 green hats, 1,000 glow in the dark hats, 1,000 black black hats & 1,000 white white hats. Hair should be, 1,000 brown hair, 1,000 yellow hair, 1,000 blue hair, 1,000 red hair, 1,000 green hair, 1,000 glow in the dark hair, 1,000 black black hair & 1,000 white white hair. On 8 different color stems. all internal parts for stem black normal plastic. Pez Outlaw written on stem of outer sleeve. 8.000 Brown Hispanic Latin face/head, the old Shell Gas Pez Pal Boy, no Sheell logo. Hat should be, 1,000 brown hats, 1,000 yellow hats, 1,000 blue hats, 1,000 red hats, 1,000 green hats, 1,000 glow in the dark hats, 1,000 black black hats & 1,000 white white hats. Hair should be, 1,000 brown hair, 1,000 yellow hair, 1,000 blue hair, 1,000 red hair, 1,000 green hair, 1,000 glow in the dark hair, 1,000 black black hair & 1,000 white white hair. On 8 different color stems. all internal parts for stem black normal plastic. Pez Outlaw written on stem of outer sleeve. 8,000 Redish Asian face/head, the old Shell Gas Pez Pal Boy, no Sheell logo. Hat should be, 1,000 brown hats, 1,000 yellow hats, 1,000 blue hats, 1,000 red hats, 1,000 green hats, 1,000 glow in the dark hats, 1,000 black black hats & 1,000 white white hats. Hair should be, 1,000 brown hair, 1,000 yellow hair, 1,000 blue hair, 1,000 red hair, 1,000 green hair, 1,000 glow in the dark hair, 1,000 black black hair & 1,000 white white hair. On 8 different color stems. all internal parts for stem black normal plastic. Pez Outlaw written on stem of outer sleeve. 8,000 Glow in the Dark Face/head, the old Shell Gas Pez Pal Boy, no Sheell logo. Hat should be, 1,000 brown hats, 1,000 yellow hats, 1,000 blue hats, 1,000 red hats, 1,000 green hats, 1,000 glow in the dark hats, 1,000 black black hats & 1,000 white white hats. Hair should be, 1,000 brown hair, 1,000 yellow hair, 1,000 blue hair, 1,000 red hair, 1,000 green hair, 1,000 glow in the dark hair, 1,000 black black hair & 1,000 white white hair. On 8 different color stems. all internal parts for stem black normal plastic. Pez Outlaw written on stem of outer sleeve. 5,500 Black Black Face/head, the old Pez Pal Boy mold, Hair should be, 1,100 brown hair, 1,100 red hair, 1,100 glow in the dark hair, 1,100 black black hair and 1,100 white white hair. On 8 different color stems. all internal parts for stem black normal plastic. Pez Outlaw written on stem of outer sleeve. This Pez Dispenser will be named Gary Doss. 5,500 Brown Hispanic Latin face/head, the old Pez Pal Boy mold, Hair should be, 1,100 brown hair, 1,100 red hair, 1,100 glow in the dark hair, 1,100 black black hair and 1,100 white white hair. On 8 different color stems. all internal parts for stem black normal plastic. Pez Outlaw written on stem of outer sleeve. 5,500 Redish Asian face/head, the old Pez Pal Boy mold, Hair should be, 1,100 brown hair, 1,100 red hair, 1,100 glow in the dark hair, 1,100 black black hair and 1,100 white white hair. On 8 different color stems. all internal parts for stem black normal plastic. Pez Outlaw written on stem of outer sleeve. 5,500 Glow in the Dark Face/head, the old Pez Pal Boy mold, Hair should be, 1,100 brown hair, 1,100 red hair, 1,100 glow in the dark hair, 1,100 black black hair and 1,100 white white hair. On 8 different color stems. all internal parts for stem black normal plastic. Pez Outlaw written on stem of outer sleeve. 5,500 Black Black Face/head, the old Pez Pal girl mold, Hair should be, 1,100 brown hair, 1,100 red hair, 1,100 glow in the dark hair, 1,100 black black hair and 1,100 white white hair. On 8 different color stems. all internal parts for stem black normal plastic. Pez Outlaw written on stem of outer sleeve. This Pez Dispenser will be dedicated to Maryann Kennedy n named that. 5,500 Brown Hispanic Latin face/head, the old Pez Pal girl mold, Hair should be, 1,100 brown hair, 1,100 red hair, 1,100 glow in the dark hair, 1,100 black black hair and 1,100 white white hair. On 8 different color stems. all internal parts for stem black normal plastic. Pez Outlaw written on stem of outer sleeve. 5,500 Redish Asian face/head, the old Pez Pal girl mold, Hair should be, 1,100 brown hair, 1,100 red hair, 1,100 glow in the dark hair, 1,100 black black hair and 1,100 white white hair. On 8 different color stems. all internal parts for stem black normal plastic. Pez Outlaw written on stem of outer sleeve. 5,500 Glow in the Dark Face/head, the old Pez Pal girl mold, Hair should be, 1,100 brown hair, 1,100 red hair, 1,100 glow in the dark hair, 1,100 black black hair and 1,100 white white hair. On 8 different color stems. all internal parts for stem black normal plastic. Pez Outlaw written on stem of outer sleeve. This Pez Dispensers name will be Moriah. 2,305 Black Black Face/head. Hat should be, 1/3 black, 1/3 baby blue n 1/3 grey. Hair should be, 1/3 yellow, 1/3 black n 1/3 brown . On 8 different color stems. all internal parts for stem black normal plastic. Pez Outlaw written on stem of outer sleeve. 2,305 Brown Hispanic Latin face/head. Hat should be, 1/3 black, 1/3 baby blue n 1/3 grey. Hair should be, 1/3 yellow, 1/3 black n 1/3 brown . On 8 different color stems. all internal parts for stem black normal plastic. Pez Outlaw written on stem of outer sleeve. 2,305 Redish Asian face/head. Hat should be, 1/3 black, 1/3 baby blue n 1/3 grey. Hair should be, 1/3 yellow, 1/3 black n 1/3 brown . On 8 different color stems. all internal parts for stem black normal plastic. Pez Outlaw written on stem of outer sleeve. 2,305 Glow in the Dark Face/head. Hat should be, 1/3 black, 1/3 baby blue n 1/3 grey. Hair should be, 1/3 yellow, 1/3 black n 1/3 brown . On 8 different color stems. all internal parts for stem black normal plastic. Pez Outlaw written on stem of outer sleeve. This Nurse Pez Dispenser will be called Marcia Got Shirts Marshall. 2,305 Black Black Face/head. Hat should be, 1/3 black, 1/3 baby blue n 1/3 grey. Hair should be, 1/3 yellow, 1/3 red n 1/3 brown . On 8 different color stems. all internal parts for stem black normal plastic. Pez Outlaw written on stem of outer sleeve. 2,305 Brown Hispanic Latin face/head. Hat should be, 1/3 black, 1/3 baby blue n 1/3 grey. Hair should be, 1/3 yellow, 1/3 red n 1/3 brown . On 8 different color stems. all internal parts for stem black normal plastic. Pez Outlaw written on stem of outer sleeve. 2,305 Redish Asian face/head. Hat should be, 1/3 black, 1/3 baby blue n 1/3 grey. Hair should be, 1/3 yellow, 1/3 red n 1/3 brown . On 8 different color stems. all internal parts for stem black normal plastic. Pez Outlaw written on stem of outer sleeve. 2,305 Glow in the Dark Face/head. Hat should be, 1/3 black, 1/3 baby blue n 1/3 grey. Hair should be, 1/3 yellow, 1/3 red n 1/3 brown . On 8 different color stems. all internal parts for stem black normal plastic. Pez Outlaw written on stem of outer sleeve. 2,305 Black Black Face/head. Hat should be, 1/3 black, 1/3 baby blue n 1/3 grey. On 8 different color stems. all internal parts for stem black normal plastic. Pez Outlaw written on stem of outer sleeve. 2,305 Brown Hispanic Latin face/head. Hat should be, 1/3 black, 1/3 baby blue n 1/3 grey. On 8 different color stems. all internal parts for stem black normal plastic. Pez Outlaw written on stem of outer sleeve. 2,305 Redish Asian face/head. Hat should be, 1/3 black, 1/3 baby blue n 1/3 grey. On 8 different color stems. all internal parts for stem black normal plastic. Pez Outlaw written on stem of outer sleeve. 2,305 Glow in the Dark Face/head. Hat should be, 1/3 black, 1/3 baby blue n 1/3 grey. On 8 different color stems. all internal parts for stem black normal plastic. Pez Outlaw written on stem of outer sleeve. 2,000 lime green/head. Eye insert should be, 1/2 black, n 1/2 white. Beak should be, 1/2 black, n 1/2 white. Eye inserts n Beaks should match in color. On 8 different color stems. all internal parts for stem black normal plastic. Pez Outlaw written on stem of outer sleeve. 2,000 Pink/head. Eye insert should be, 1/2 black, n 1/2 white. Beak should be, 1/2 black, n 1/2 white. Eye inserts n Beaks should match in color. On 8 different color stems. all internal parts for stem black normal plastic. Pez Outlaw written on stem of outer sleeve. 2,000 grey/head. Eye insert should be, 1/2 black, n 1/2 white. Beak should be, 1/2 black, n 1/2 white. Eye inserts n Beaks should match in color. On 8 different color stems. all internal parts for stem black normal plastic. Pez Outlaw written on stem of outer sleeve. 2,000 black/head. Eye insert should be, 1/2 black, n 1/2 white. Beak should be, 1/2 black, n 1/2 white. Eye inserts n Beaks should match in color. On 8 different color stems. all internal parts for stem black normal plastic. Pez Outlaw written on stem of outer sleeve. 2,000 yellow/head. Eye insert should be, 1/2 black, n 1/2 white. Beak should be, 1/2 black, n 1/2 white. Eye inserts n Beaks should match in color. On 8 different color stems. all internal parts for stem black normal plastic. Pez Outlaw written on stem of outer sleeve. 2,000 Baby blue/head. Eye insert should be, 1/2 black, n 1/2 white. Beak should be, 1/2 black, n 1/2 white. Eye inserts n Beaks should match in color. On 8 different color stems. all internal parts for stem black normal plastic. Pez Outlaw written on stem of outer sleeve. 2,000 Pink/head. Horn should be, 1/2 black, n 1/2 white. On 8 different color stems. all internal parts for stem black normal plastic. Pez Outlaw written on stem of outer sleeve. 2,000 black/head. Horn should be, 1/2 black, n 1/2 white. On 8 different color stems. all internal parts for stem black normal plastic. Pez Outlaw written on stem of outer sleeve. 2,000 Grey/head. Horn should be, 1/2 black, n 1/2 white. On 8 different color stems. all internal parts for stem black normal plastic. Pez Outlaw written on stem of outer sleeve. This Pez Dispensers name will be John Laspina. 2,000 yellow/head. Horn should be, 1/2 black, n 1/2 white. On 8 different color stems. all internal parts for stem black normal plastic. Pez Outlaw written on stem of outer sleeve. This Pez Dispensers name will be Shawn Peterson. 2,000 baby blue/head. Horn should be, 1/2 black, n 1/2 white. On 8 different color stems. all internal parts for stem black normal plastic. Pez Outlaw written on stem of outer sleeve. 2,000 red/head. Horn should be, 1/2 black, n 1/2 white. On 8 different color stems. all internal parts for stem black normal plastic. Pez Outlaw written on stem of outer sleeve. Trucks Pez Outlaw written on sides of trailer. Pez Outlaw image / Logo also on sides of Trailer/stem. 4,000 with Light Soft Gray plastic cabs and Trailers/stem outer sleeves, all internal parts for stem black normal plastic. . Wheels 500 Brown, 500 yellow wheels, 500 blue wheels, 500 red wheels, 500 green wheels, 500 glow in the dark wheels, 500 black black wheels & 500 white white wheels. Pez Outlaw image (my clown logo) n Pez Outlaw written on Trailers / sleeves / stems. 4,000 with Baby Blue plastic cabs and Trailers/stem outer sleeves, all internal parts for stem black normal plastic. . Wheels 500 Brown, 500 yellow wheels, 500 blue wheels, 500 red wheels, 500 green wheels, 500 glow in the dark wheels, 500 black black wheels & 500 white white wheels. Pez Outlaw image (my clown logo) n Pez Outlaw written on Trailers / sleeves / stems. 4,000 with Fire Red plastic cabs and Trailers/stem outer sleeves, all internal parts for stem black normal plastic. . Wheels 500 Brown, 500 yellow wheels, 500 blue wheels, 500 red wheels, 500 green wheels, 500 glow in the dark wheels, 500 black black wheels & 500 white white wheels. Pez Outlaw image (my clown logo) n Pez Outlaw written on Trailers / sleeves / stems. 4,000 with US Army Green plastic cabs and Trailers/stem outer sleeves, all internal parts for stem black normal plastic. . Wheels 500 Brown, 500 yellow wheels, 500 blue wheels, 500 red wheels, 500 green wheels, 500 glow in the dark wheels, 500 black black wheels & 500 white white wheels. Pez Outlaw image (my clown logo) n Pez Outlaw written on Trailers / sleeves / stems. 4,000 with glow in the dark plastic cabs and Trailers/stem outer sleeves, all internal parts for stem black normal plastic. . Wheels 500 Brown, 500 yellow wheels, 500 blue wheels, 500 red wheels, 500 green wheels, 500 glow in the dark wheels, 500 black black wheels & 500 white white wheels. Pez Outlaw image (my clown logo) n Pez Outlaw written on Trailers / sleeves / stems. 4,000 with Black Black plastic cabs and Trailers/stem outer sleeves, all internal parts for stem black normal plastic. . Wheels 500 Brown, 500 yellow wheels, 500 blue wheels, 500 red wheels, 500 green wheels, 500 glow in the dark wheels, 500 black black wheels & 500 white white wheels. Pez Outlaw image (my clown logo) n Pez Outlaw written on Trailers / sleeves / stems. 4,000 with Milky Creamy White plastic cabs and Trailers/stem outer sleeves, all internal parts for stem black normal plastic. . Wheels 500 Brown, 500 yellow wheels, 500 blue wheels, 500 red wheels, 500 green wheels, 500 glow in the dark wheels, 500 black black wheels & 500 white white wheels. Pez Outlaw image (my clown logo) n Pez Outlaw written on Trailers / sleeves / stems. 4,000 with Milk Chocolate Brown plastic cabs and Trailers/stem outer sleeves, all internal parts for stem black normal plastic. . Wheels 500 Brown, 500 yellow wheels, 500 blue wheels, 500 red wheels, 500 green wheels, 500 glow in the dark wheels, 500 black black wheels & 500 white white wheels. Pez Outlaw image (my clown logo) n Pez Outlaw written on Trailers / sleeves / stems. Mardi Gras regulars - make these by mixing the following plastic pellet colors in the hopper for the injection molding machine. C class trucks 4 dif cab types each.